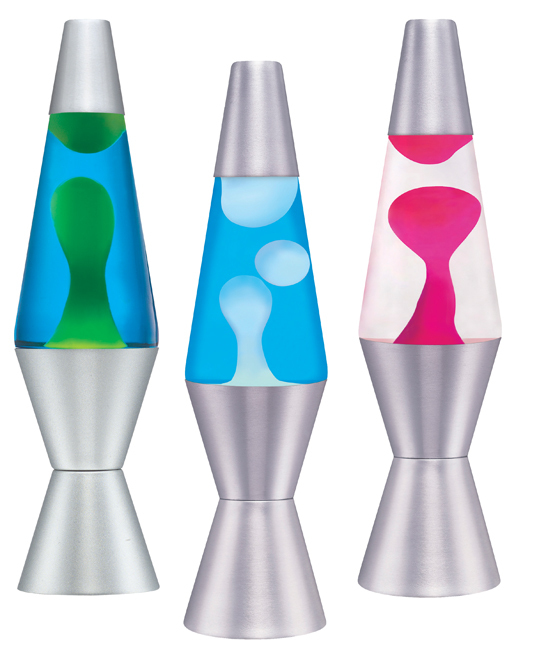 Presenting an iconic light source: the Lava Lamp. This is an 11.5 inch lava lamp. 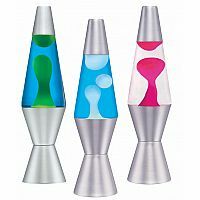 The lava lamp will have a silver base but the liquid and wax inside comes in different colors. Unfortunately you may not get the colors that you want when you order online. For adults. Measures approximately: 3.50 x 3.50 x 15.00 inches..